To the untrained eye, cattle brands, those unique markings seared into animals’ hides with a hot iron, might just seem like idiosyncratic logos or trademarks designed to clearly and simply indicate ownership. However, unlike the graphic logos and trademarked images of popular commercial brands, they must comply with a rigorous set of standards and are developed using a specific language ruled by its own unique syntax and morphology.Livestock branding dates back to 2700 BC, evidenced by Ancient Egyptian hieroglyphics. Ancient Romans are said to have used hot iron brands as an element of magic. But brands are most famously associated with the cowboys and cattle drives of the Old West, when brands were used to identify a cow’s owner, protect cattle from rustlers (cattle thieves), and to separate them when it came time to drive to market (or rail yards or stock yards). 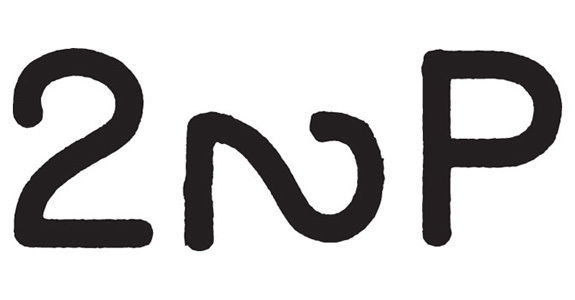 At its most basic, a cattle brand is composed of a few simple letters and numbers, possibly in combination with a basic shape or symbols like a line, circle, heart, arc, or diamond. But these characters can also be embellished with serif-like flourishes to create myriad “pyroglyphics.” For example, such serifs might include extraneous “wings” or “feet” added to a letter or number. Each character can also be rotated or reversed. Every addition and variation results in a unique character that is named accordingly. The letters with “wings” for example, are described as “flying” while those with “feet” are, you guessed it, “walking.” An upside-down characters is “crazy” while a 90-degree rotation makes a character “lazy.” These colorful designations aren’t just cute nicknames used to identify the characters, but are actually a part of the name, a spoken part of the brand language, which like most western languages is read from left to right, top to bottom and, perhaps unique to brands, outside to inside. To the untrained eye, cattle brands, those unique markings seared into animals’ hides with a hot iron, might just seem like idiosyncratic logos or trademarks designed to clearly and simply indicate ownership. However, unlike the graphic logos and trademarked images of popular commercial brands, they must comply with a rigorous set of standards and are developed using a specific language ruled by its own unique syntax and morphology.Livestock branding dates back to 2700 BC, evidenced by Ancient Egyptian hieroglyphics. Ancient Romans are said to have used hot iron brands as an element of magic. But brands are most famously associated with the cowboys and cattle drives of the Old West, when brands were used to identify a cow’s owner, protect cattle from rustlers (cattle thieves), and to separate them when it came time to drive to market (or rail yards or stock yards).